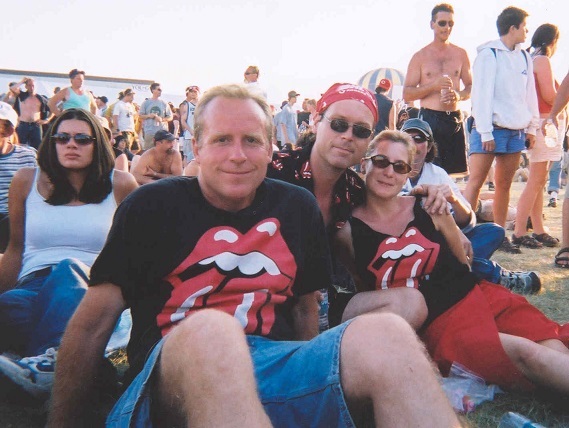 Ya-Ya's getting out to see the Rolling Stones circa 2003. The fifth edition of the Chicago International Movies and Music Festival (CIMMfest) kicks off tonight, April 18. One of the highlights of the four day (April 18-21) festival that brings together live concerts and film is a 10 film retrospective of the world's greatest rock and roll band — The Rolling Stones. Immortalized on film by the likes of Jean-Luc Goddard and Martin Scorsese, Mick and the boys are celebrating 50 years of rock and roll in 2013. Officially known as CIMMpathy for The Stones, the retrospective — which begins on Friday night — marks the first ever screenings in Chicago of Rolling Like A Stone and I Got the Blues in Austin. The former won Best Music Documentary at the SilverDocs Film Festival while the latter has Chris Jagger (brother to Mick) interviewing blues artists. CIMMpathy for the Stones is the second major film retrospective of The Stones to come along to mark their golden anniversary. New York's Museum of Modern Art held a month-long film exhibition that coincided with The Rolling Stones December dates in the Big Apple. All films for the Chicago retrospective will be screened at the Music Box Theatre. Ticket packages are available as three-day passes or individual tickets. If you've never seen The Stones at their peak, CIMMpathy for the Stones offers a glimpse of the band at each stage of their career. From the mid-60's before they broke, to the lightning-in-a-bottle that lead to Exile on Main Street and the club shows and stadium shows that have now become their stock and trade, CIMMpathy for the Stones has something for every Stones fan. The Stones are also hitting the road in May, playing select North American cities on the 50 and Counting tour. If CIMMpathy for the Stones whets your appetite, The Stones are playing the United Center on May 31 and June 3. (More dates and cities are being added — a third date in Chicago is not out of the question). With The Stones track record the 50 and Counting tour may result in another film for another retrospective down the road. Last we checked, The Rolling Stones film oeuvre was at 16 and counting.